Facebook’s launch of the Timeline for brand pages allows brands to showcase their unique stories and identities. Along with the added design of a “cover photo”, which helps display logos, products and personalities, the Timeline features the history of a company and their specific milestones. Milestones and posts that are “starred” by a company appear twice as wide as other posts, calling extra attention to important stories. The new landing page also shows how many of your friends like the brand, as well as your friends’ public mentions of related topics. For local businesses, a map appears in the row of apps below the cover photo as well. A new messaging feature allows users to send direct or private messages to your Page. This creates a new customer service channel where you can address users’ concerns without having to discuss issues publicly on your Page’s wall / Timeline. The true value of the Timeline can be seen on Livestrong’s brand page. The page features personal milestones and history dating back to 1996, like photos of Lance Armstrong bed-ridden with cancer and his first win of the Tour de France title- “three years after being given a 40% chance to live”. This rich, emotional history that took place long before Facebook existed is now available for fans to interact with and get a sense of the community and culture that embodies Livestrong. However, Facebook brand pages still have a downside that affect user engagement and return on investment. With the explosion of Pinterest as a hot new online community, we can see the benefit of being able to choose what content to follow based on interest. On Pinterest, a user can subscribe to a brand by selecting a specific board they are interested in, as opposed to following everything the brand posts. The issue with brand pages on Facebook is that there’s no way for fans to funnel what content they see. The brand pages lack user customization, meaning the brand is in control, rather than the fan. If a brand’s audience doesn’t find value in their messages, it can hinder the company’s ROI, despite a large fan base. If Facebook brand pages could find a way to customize their messaging to niche target audiences, they could derive a lot more value through social media. Over the past ten years, our perception of social media has transformed from a seemingly useless fad to an integrated way of life. As over a billion people worldwide use social media every day, we can recognize how it is becoming a vital channel in society. It is now second nature for people to search Twitter for the news, connect with an old friend on Facebook, or seek a job opportunity on LinkedIn. Not only do we desire the luxury of these tools, they have become a necessary aspect of our lives. As different needs develop, social media finds a way to fulfill them. It is easy to see how each successful social network strategically establishes a specific need for its users. According to a blog post from All Twitter, social media may even play a role in Maslow’s Hierarchy of Needs, a psychological theory that addresses the stages of growth in humans. Facebook and Google+ help us maintain a sense of belonging through connections to friends and family. Twitter is good for our self-esteem, because it empowers us to reach out to others and self-promote, while keeping us informed. LinkedIn satisfies our need for safety, by providing security in employment. With this realization in mind, we can see why some social networks are successful, while some are never adopted. When Facebook launched in 2003, it was exclusive to large groups of people in college. It gained popularity through social proof and eventually people everywhere joined the network because they didn’t want to feel left out. A more recent addition to the digital world, Pinterest, saw the need for connectivity and sharing that social media users crave. Pinterest’s popularity sparked because it is integrated with Facebook. When a user joins they are automatically shown which of their Facebook friends are on Pinterest, revealing several accounts full of interesting and exciting pictures to “pin”. Once a user “pins” a picture, it can easily be shared through Facebook as well. Pinterest also fulfills a need by sharing photos that inspire a call-to-action- whether it is a recipe or a home decorating idea. Other examples include Foursquare’s ability to make location relevant online, Google+’s integration with the world’s largest search engine, Twitter’s ability to spark creativity with the #hashtag, and LinkedIn’s discovery of a professional way to interact online. Additionally, the more these social networks integrate with brands, the more useful they are to businesses and customers. Brands can create fan pages on Facebook, have Twitter chats with their followers, pin their products on Pinterest, track their customers on Foursquare and increase their search engine optimization with Google +. Also, LinkedIn is known as the best social network to generate business leads online. If a social network can satisfy an individual’s needs, it is essential for companies to take advantage of these platforms. Have you capitalized on your business’ need to be socially available? I obviously have to blog about the iPhone, since I hopped on the bandwagon this Saturday. As I am currently enjoying a 4 day break in between winter session and spring, I had time to chase around my iPhone delivery at FedEx and spend my days learning the ins and outs of this new technology. Not only is the phone the biggest upgrade my life has ever experienced, it enhances my day to day significantly. Bye bye BBM, hello Siri! On a more serious note, I just read a really interesting article, “Get Ready for a World of Connected Devices”, that shines light on the ever-changing world of digital media. Just as Ketchum executive Nick Ragone said during my PRSSA visit to D.C., “The challenge in PR these days is creating content that is so relevant that it will filter through our carefully selected channels”. Consumers are now able to have a personalized media experience wherever they go. For example, sites like Pandora allow consumers to listen to selected music on their computers, smartphones, tablets and in their cars. This article emphasizes that, “The implication [for marketers] is that you’ll need to reassess how people discover and keep informed about your product or service.” For example, people will listen to the car radio less now because they can access Pandora in their car, so there goes your 30-second advertisement. According to the GSMA, a worldwide association of mobile operators and related companies, there are 9 billion connected devices in the world today, (meaning connected to the internet). By 2020, there will be 24 billion and over half of them will be non-mobile devices such as household appliances like TVs, cars, washing machines and refrigerators (Really??). 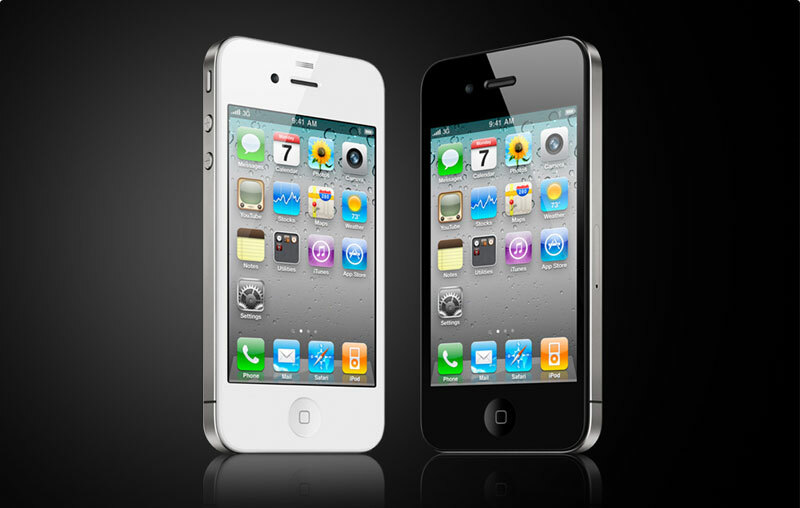 The possibilities are really endless, as you can see through all the iPhones abilities, and that’s just a mobile device. Having the iPhone has eliminated my need to go to bankofamerica.com on my lap top, to buy a notebook, to use a GPS, to look up movie times in the newspaper, or to own a camera, iPod, stopwatch, Gameboy, the list goes on. 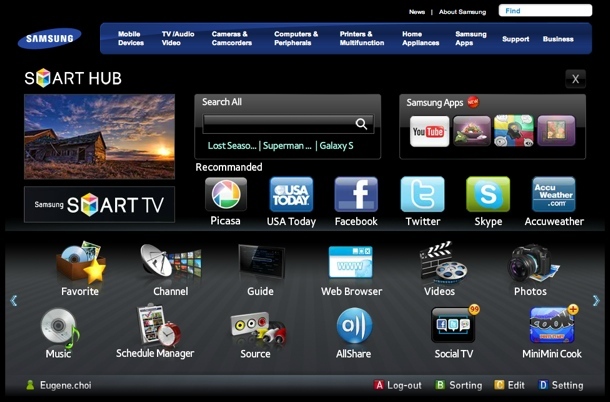 We’ve seen this technology begin to merge into cars and TV’s, like Ford’s connected car that integrates smartphone apps and Samsung’s Smart TV (below). Marketers need to realize that the internet will begin to empower everything else around us, besides smart phones and computers. The bad news for marketers is that these tools narrow the range of broadcast media where you can easily reach consumers. The good news is that because media is so much more personalized now, you will be able to target your message more precisely to the audience you want to reach, through the internet’s smart data collection abilities. Fascinating stuff, right! ?